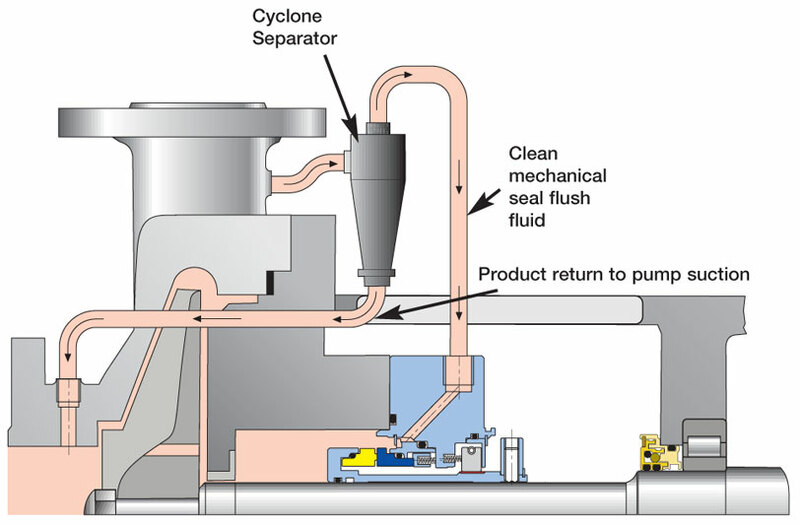 The CYCL (Cyclone Separator) is designed to separate heavy particles from the product liquid. The clean fluid is ideal for use as flush liquid, improving conditions at the seal faces. The separated particles drain back into the sealed product. The benefit is a reliable and low cost sealing system for heavy product particle applications which does not require an independent flush supply.